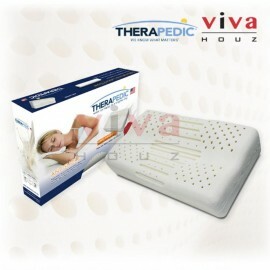 Therapedic, USA is a leading international brand in bedding industries with more than fifty years (50) of experience. 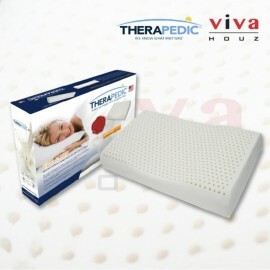 The Therapedic , USA, Side Sleep 100% Pure Latex Pillow is specially designed f..
Therapedic, USA is a leading international brand in bedding industries with more than fifty years (50) of experience. 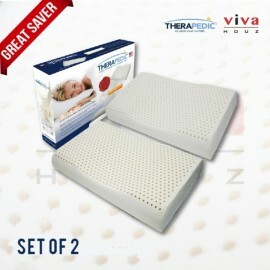 The Therapedic , USA, Anti-Snore 100% Pure Latex Pillow is uniquely designed&nb..
Therapedic, USA a world leading brand in bedding products since 1957, and today Therapedic products are available in more than fifty (50) countries. The Therapedic 100% Hollow Siliconised Fibre Lux..
Therapedic, USA a world leading brand in bedding products since 1957, and today Therapedic products are available in more than fifty (50) countries. Therapedic, USA, 100% Hollow Siliconised Fibre L..